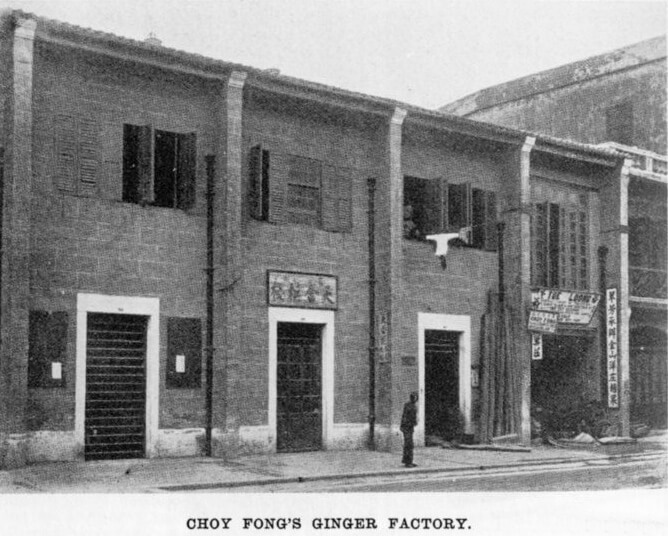 HF: One of several ginger factories in Hong Hong in the early part of the 20th Century. 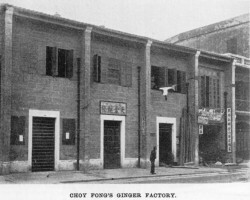 This ginger factory was located at 8 Sai On Lane, West Point, which is in Sai Ying Pun. 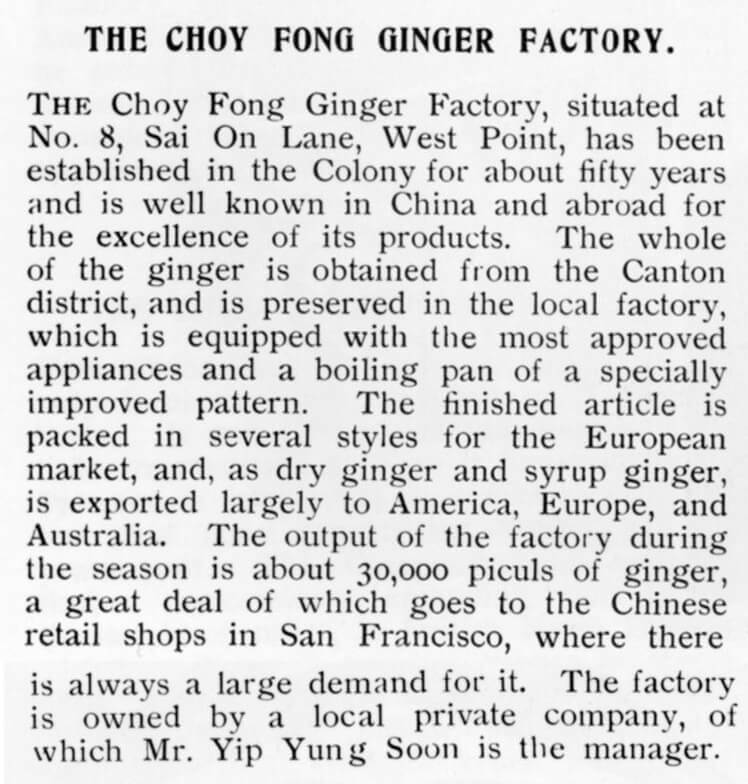 Click the photo and article to magnify. 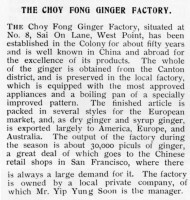 Mr Yip Yung Soon needs his own article. This article was first published on 17th December 2013.